Will YouTube ever out-Google Google? A startling statistic has come out about camp Google this week, and it's that searches made on YouTube account for a quarter of all Google search queries. 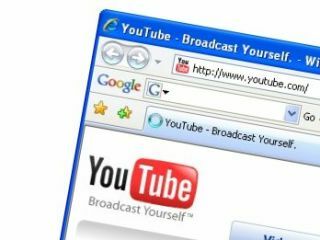 The percentage, taken from research by Comscore, showed that if YouTube were to be ranked separately from its owners, then it would be the second largest search engine on the internet – beaten only by Google. The actual figures were as follows: in the US in November, there were 2.73bn YouTube searches, twice as many as the same month a year ago. Google took a massive 63.5 per cent of all searches in the US last month, with Yahoo! taking a 20.4 per cent share and Microsoft taking third place with an 8.3 per cent share. Overall Google's core market share is up 0.4 per cent from October. But if you look at year-on-year figures, the search giants are up 5.9 per cent.